Homeland Surveillance & Electronics LLC (HSE-UAV) is the leading full-service provider of remotely piloted Unmanned Aerial Vehicles (UAV) drones that are designed for agricultural and commercial use; our Unmanned Aircraft Systems (UAS) are built field-tough, not as toys. These drones offer cutting-edge features that enhance the capabilities of drone missions and are created to provide exceptional reliability and ease of use. Whether you are looking to use a drone for spraying, to string utility lines, logistics / package delivery or to protect people and assets, our drones are unlike anything else in the sky. We have commercial drones for sale that are made for your most important drone-based missions. Choose the perfect platform for your needs. We specialize in commercial, industrial, agricultural, and first responder drones. Offering thermal, LiDAR, NDVI, multispectral and life-saving payloads for your UAV/drone including emergency drop-devices, utility sensors, line-stringing devices and more. Our industry-leading drone training instructors teach you everything you need to know about becoming an expert drone pilot. In addition to safe and effective operations, you’ll also learn about FAA part 107 certification. Our expert FAA advisors will help you establish the perfect drone program and obtain your FAA COA, 333, 137 or any other FAA exemptions your business needs. As one of America’s oldest industrial drone companies, we have learned a thing or two about drones. We have the people who care, the connections that matter and the technology that delivers. Drones for spraying, UAVs that string power lines, or fight fires, – we have them all. As a Veteran and Family Owned company, we take great pride in our team. Our people are U.S. based, committed to your success, are experts in our field, and they can’t wait to tell you about the latest and greatest. Get in touch with us today and see how we’re different. Homeland Surveillance & Electronics LLC drones offer maximum flight time and minimum downtime. We can create custom drones or payloads for your requirements. You can also choose from ready-made drones that anticipate your needs and are adaptable to future demands. To see our selection of UAVs and drones, please visit our product line page today. 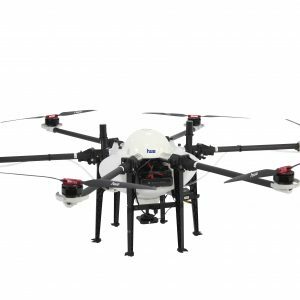 You will find professional drones that are ideal for search and rescue, crowd control, SWAT team operations, traffic investigations, and more. Homeland Surveillance & Electronics LLC offers unmanned aerial vehicle (UAV) drones with cutting-edge power cell technology that delivers more power, performance, and longevity than competing models, without compromising our products’ superior weight standards that support the longest flight times. Our technology helps ensure that your drones both reach their destination and dependably return to your location as efficiently as possible, while allowing you to accomplish your commercial goals. Unmanned aerial vehicle (UAV) drones from Homeland Surveillance & Electronics LLC offer performance that makes them ideal for agricultural surveying and crop spraying law enforcement, military, and other first responder entities, such as fire departments and emergency management groups. Our remote control drones offer a variety of interchangeable payloads, photography resolution, and sensor management so that you can acquire the data needed. READY TO START FLYING? HAVE QUESTIONS? Contact us today to learn how industrial-grade, unmanned aerial vehicle (UAV) drones from Homeland Surveillance & Electronics LLC can help keep our homeland safe from local, national, and international threats, as well as facilitate agricultural innovation, surveying and other commercial activities. Act now to take advantage of our line of commercial drones for sale.